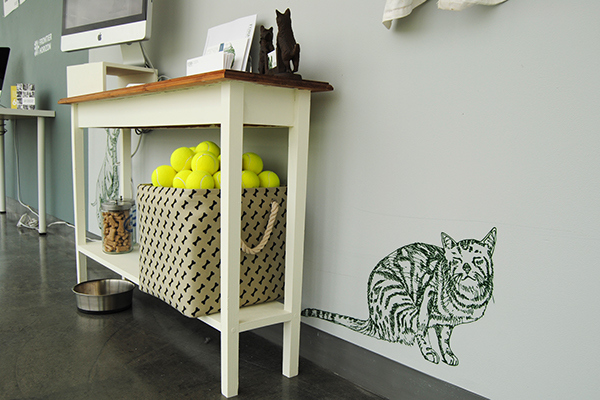 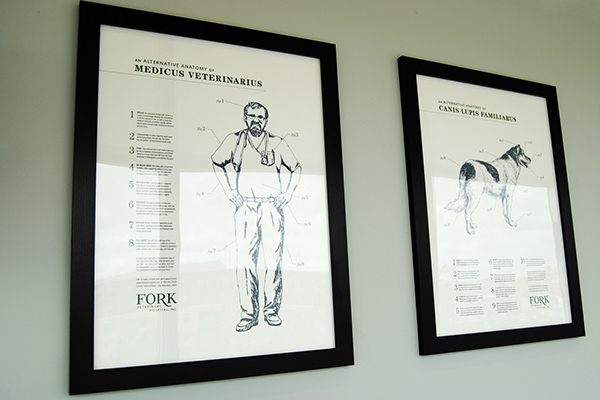 I decided to breathe new life into my father’s veterinary practice. 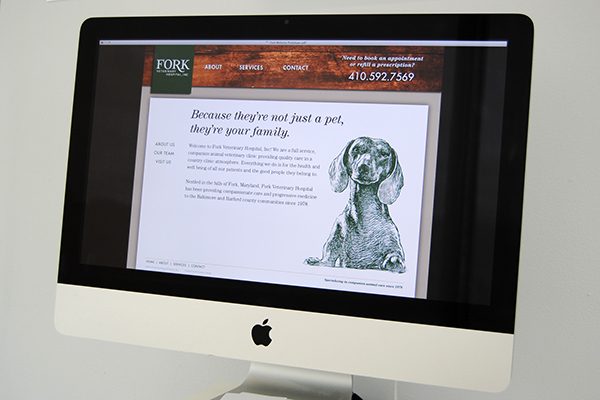 Nestled in Fork, Maryland, Fork Veterinary Hospital has specialized in companion animal health care since 1978. 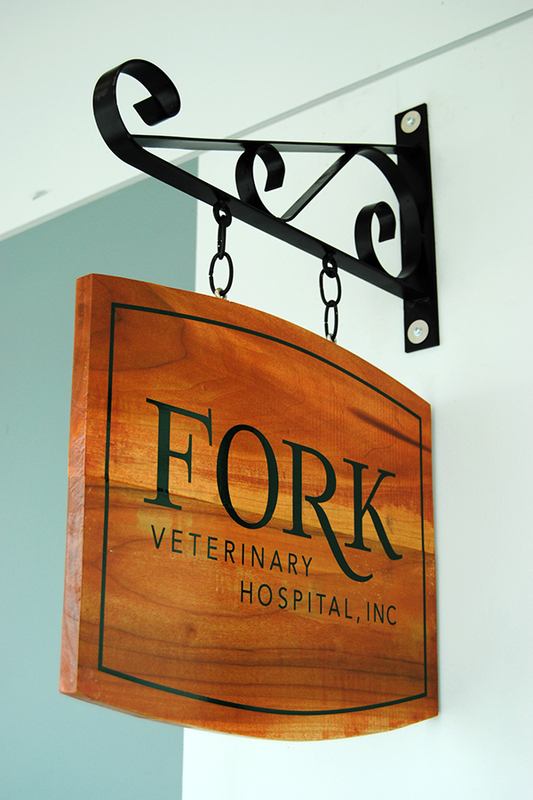 Despite serving its customers faithfully with the best veterinary medicine in a welcoming country clinic atmosphere, the practice has suffered from a lack of a consistent visual identity since its founding over thirty years ago. 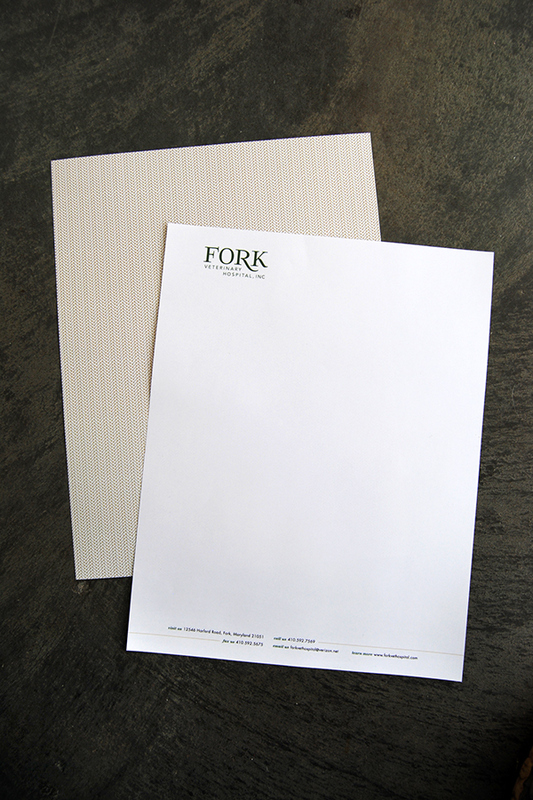 I hoped to rectify that problem by establishing an updated typemark and system of materials, including stationery and a website. 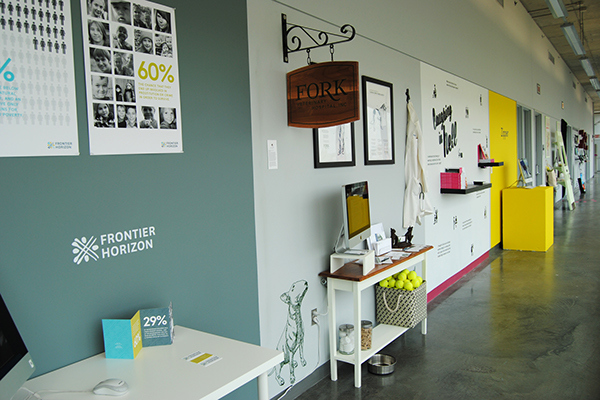 Below are some images of the space and set up in which I presented my completed collection of work during the 2014 Senior Thesis Showcase at MICA. 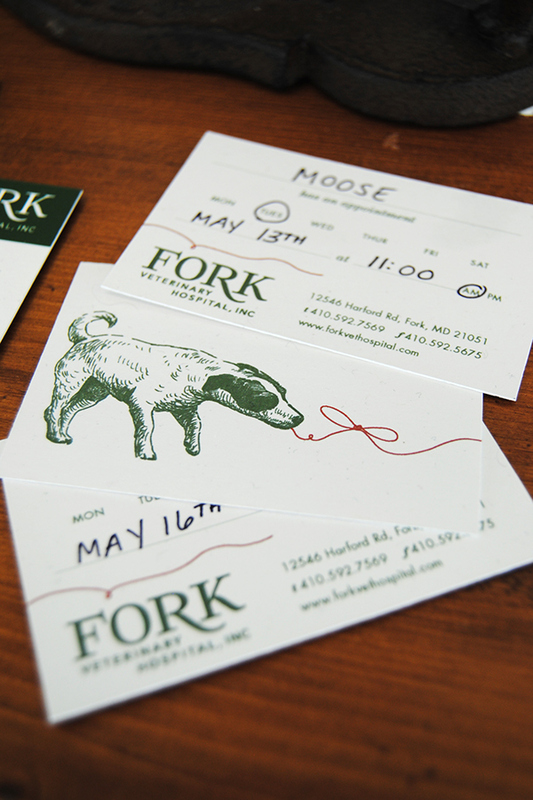 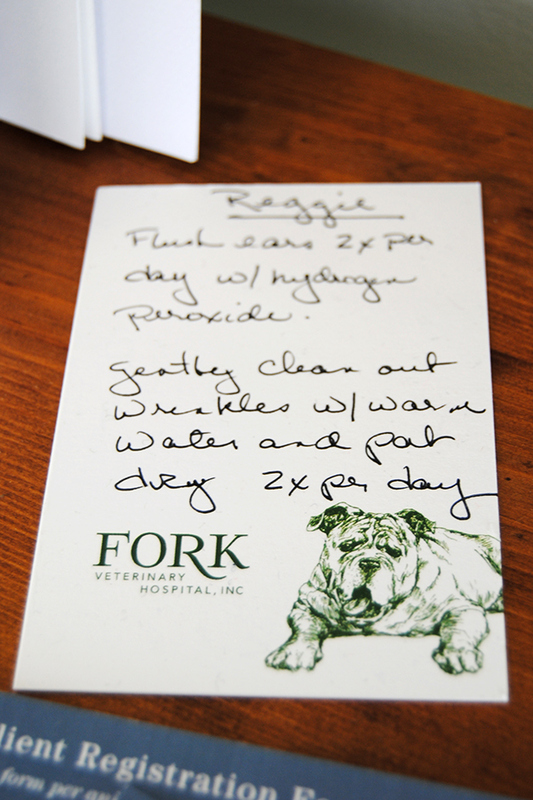 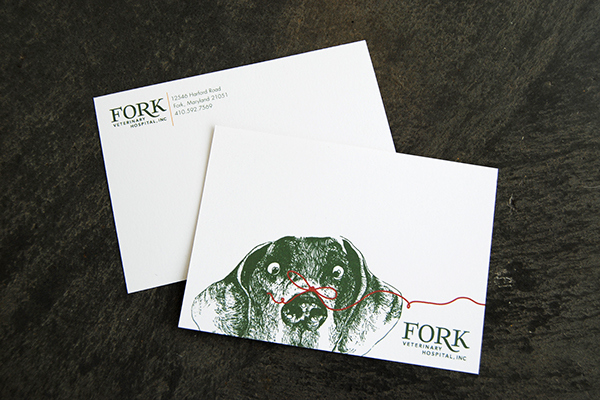 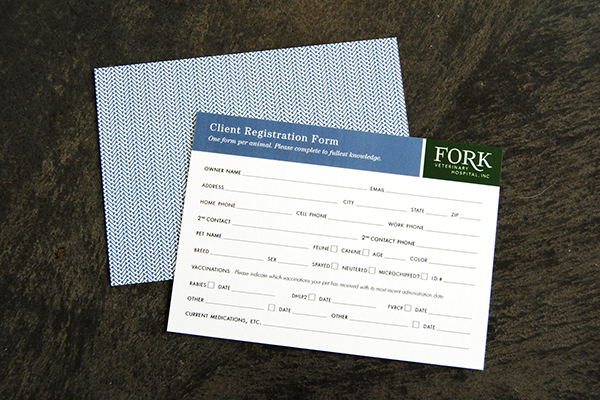 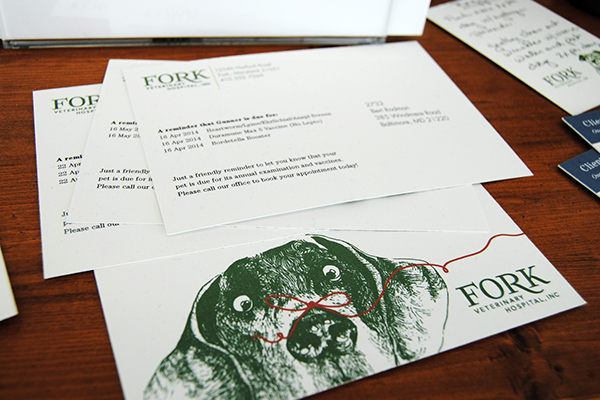 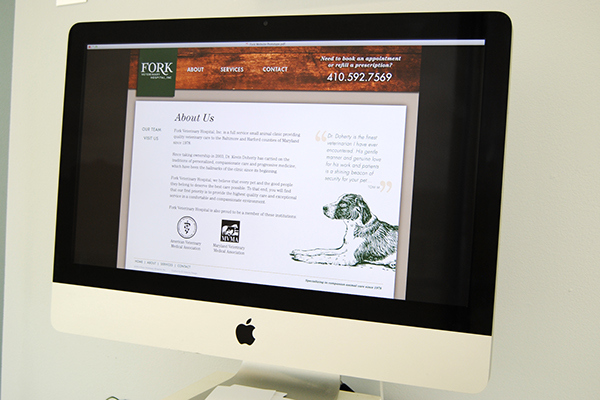 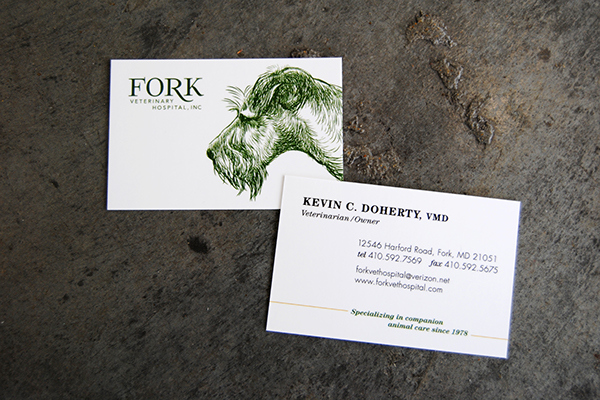 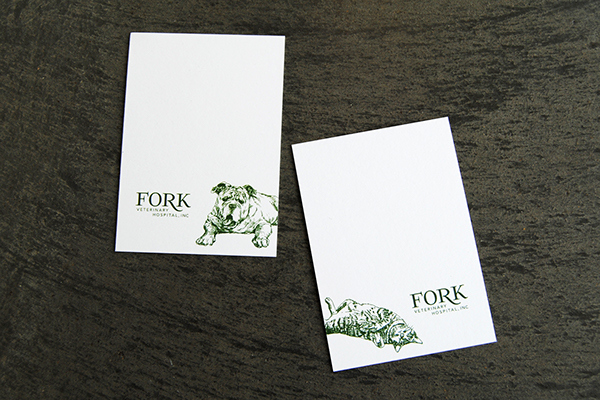 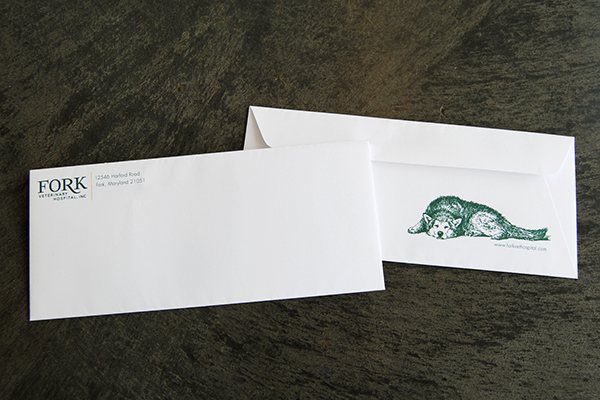 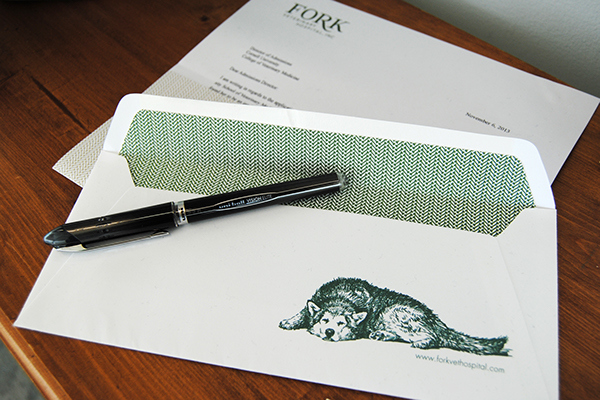 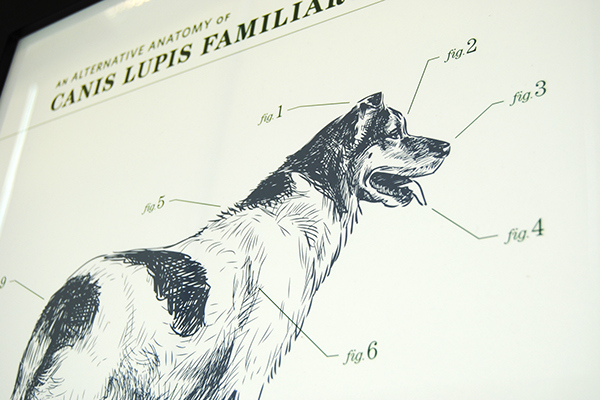 Rebranding of the Fork Veterinary Hospital, Inc's print and digital identity.